The Saints’ victory celebration continues today as Coach Sean Payton, Drew Brees, and his teammates get feted at the Saints Super Bowl parade in New Orleans. 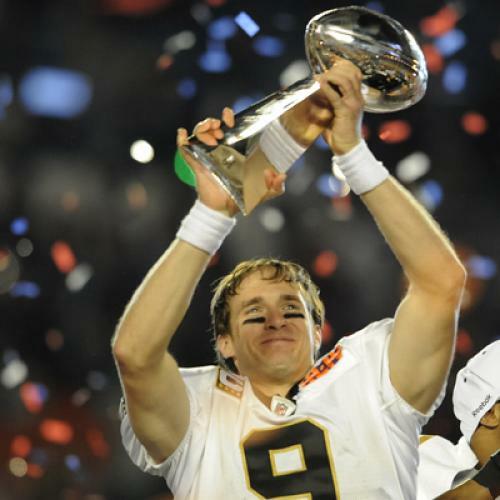 The Saints’ remarkable win Sunday has literally served as New Orleanians’ proud cry to the nation: We are back! But, did you know that last Saturday they also elected a new mayor? Lost in all of the euphoria is another pivotal moment for the city. Mitch Landrieu, the state’s lieutenant governor, won the mayoral seat in a landslide, capturing the support of two-thirds of the city’s voters, thus avoiding a run-off among five other candidates. He won all but one of the city’s precincts and attracted the vast majority of the city’s black voters. Landrieu will serve as the New Orleans’ first white mayor since his father held the perch 36 years ago. Perhaps some of the recent jubilation (or bead throwing) comes from the sheer relief that the Nagin era is over. Yet just because Nagin has set the bar so low doesn’t mean that Landrieu doesn’t have the job cut out for him. The mayor-elect confronts two major tasks when he assumes office in May. First, Landrieu will need to restore confidence in city government and city services. Like all new mayors, he must get “the basics” right, such as providing quality schools, safe streets, and the efficient delivery of public services. Without these, businesses and families will choose to locate elsewhere and, in New Orleans, patience for such basic functions is wearing thin. To his credit, Landrieu has already signaled that reducing violent crime and restoring public safety will be one of his first priorities in office. Second, Landrieu will need to unify the city around a common, forward-learning vision and action agenda for New Orleans that goes beyond disaster recovery and puts the city and region on a path to long-term prosperity. At the core, the city’s ultimate turnaround rests less on how many school roofs have finally been fixed or how many water and sewer lines have been repaired since Katrina. Instead, Landrieu must make sure that all of the tireless rebuilding efforts, hundreds of citizen meetings, and billions of investments over the last five years are truly moving New Orleans toward a future that is more promising than it was before the storm. This means building a more diverse, export-oriented, and innovation-fueled economy with good-paying jobs (beyond the rebuilding-related industries that are bootstrapping its economy now). It means improving opportunities for lower-income families by providing quality neighborhoods and strong cradle-to-career pathways that do not replicate recent decades of extreme poverty. And he should push for meaningful progress on coastal protection and restoration so that families and businesses can reside safely and sustainably in greater New Orleans for generations to come. These are difficult goals and they need to be matched with practical strategies and outcomes. Further, Landrieu cannot achieve these goals alone. To be effective, he must harness the energies of citizen and civic groups, leverage the goodwill of private and philanthropic partners, and build bridges with federal, state and local governments, including his own city council and neighboring parish leaders. In conversations prior to the election, I heard Landrieu supporters argue that he “gets” what the job is, and he has the skills and experience to build such critical partnerships. Let’s hope he proves them right. When Saints fever fades, all eyes will be on Landrieu to channel all that overflowing New Orleans pride and fully demonstrate that, indeed, the Big Easy is back.